George Sparks currently serves as the dean of the College of Visual and Performing Arts at James Madison University. Dr. Sparks previously served Florida Atlantic University as director of the School of the Arts for five years and director of bands for ten years previous to his administrative post. In addition to Dr. Sparks’ 37 years in arts education, he has conducted major music performances at the College Band Director’s National Conference, the national meeting of Phi Mu Alpha Music Fraternity, and state meetings of music educators in Utah, Louisiana, and Arkansas. He has received three NEA grants, served as the founding musical director and conductor for the Wind Symphony of Florida, and the rehearsal conductor for the Palm Beach Pops Orchestra. Dr. Sparks is a member of the board of directors of the International Council of Fine Arts Deans and currently serves as president. 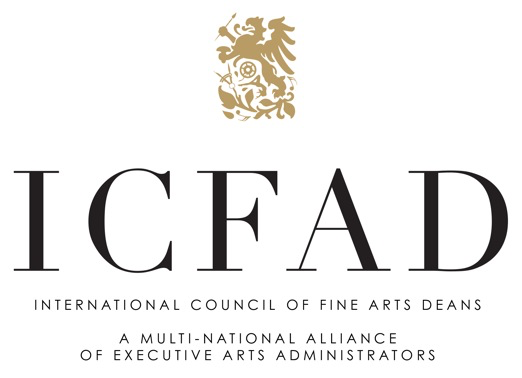 James Madison University’s College of Visual and Performing Arts is a charter member of The Alliance for the Arts in Research Universities and pursues and invests in interdisciplinary research partnerships across the campus. In 2016, JMU created a group, the Creative Fellows, of interdisciplinarians that attend the A2RU Emerging Creatives Conference and participate in on-campus innovation projects throughout the academic year. JMU will host the A2RU Emerging Creatives Conference during the 2018-2019 academic year.